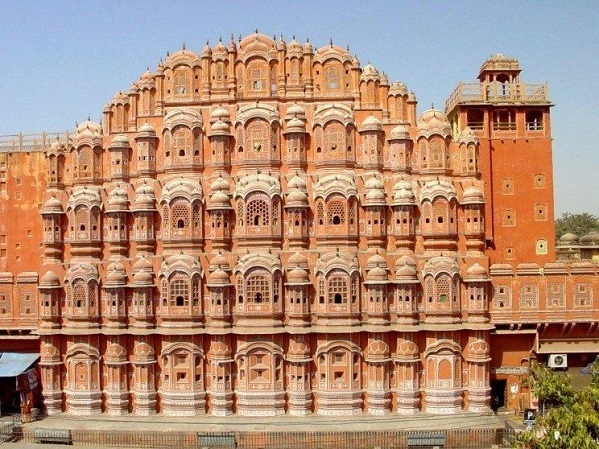 The “Pink City” of Jaipur is vibrant and full of captivating ancient palaces and forts, with most of them boasting stunning views and elaborate architecture. 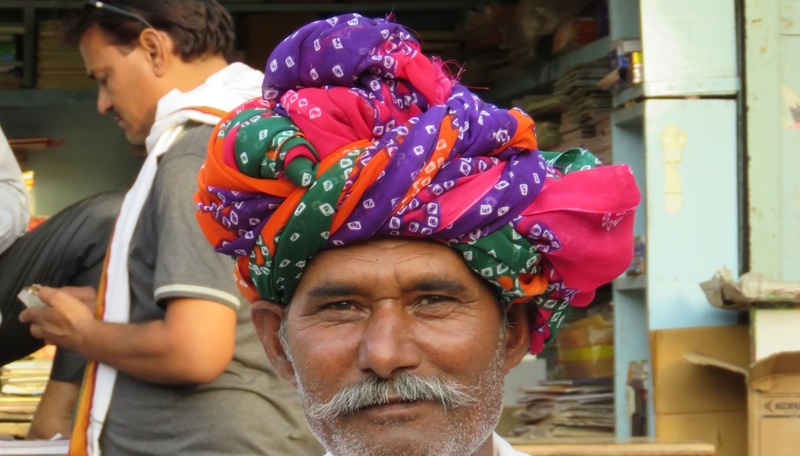 Jaipur forms part of India’s popular Golden Triangle tourist circuit, and lures visitors with its stunning remnants of a bygone era. This colourful area hasn’t changed much since it was built in the 18th century. There are many small streets off the main thoroughfares and “Chaupars” (Squares), where artisans fashion puppets, silver jewellery, and other local handicrafts in tiny workshops. 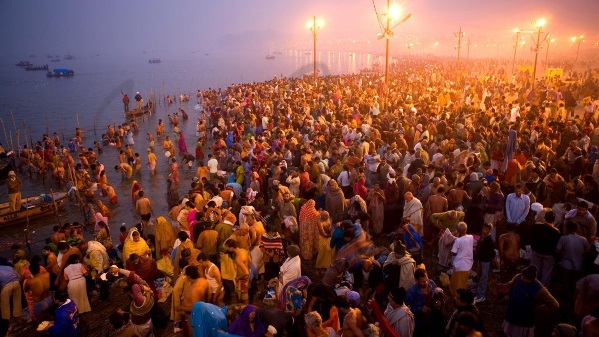 The area is a hub of activity, rich with pungent smells and vibrant colours with the temple bells adding to the range of sounds. 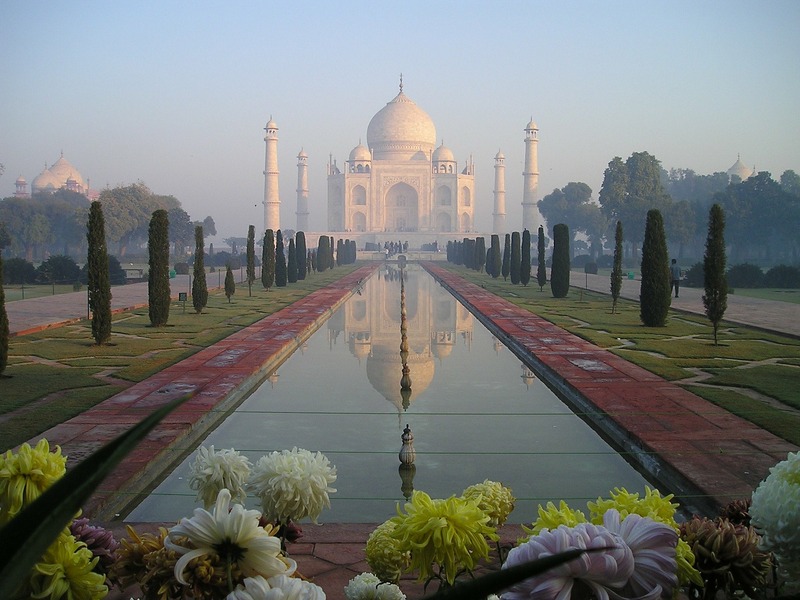 There are flower markets, pottery sellers, and vegetable markets amoungst the ornate mosques and even an astronomical observatory with an array of sculpture-like instruments. 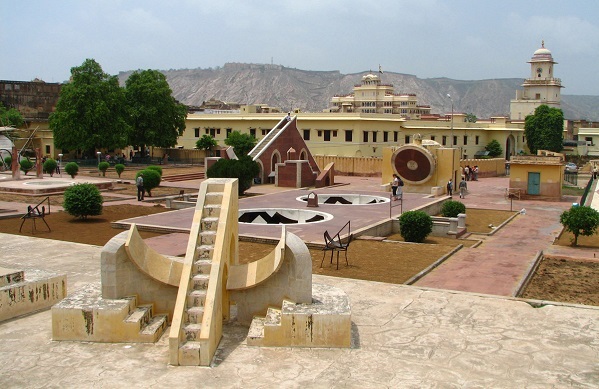 The Jantar Mantar is a collection of architectural astronomical instruments, built by Sawai Jai Singh who was a Mughal Emperor. The observatory consists of fourteen major geometric devices for measuring time, predicting eclipses, tracking stars’ location as the earth orbits around the sun and predicting the position of planets. The Samrat Yantra, the largest instrument, is 27 m high, its shadow carefully plotted to tell the time of day. Built from local stone and marble, each instrument carries an astronomical scale, generally marked on the marble inner lining. Bronze tablets, all extraordinarily accurate, were also employed. Thoroughly restored in 1901, the Jantar Mantar was declared a national monument in 1948. Hawa Mahal or ‘Palace of Winds’ is Rajasthan’s most famous building.The palace is a five-storey pyramidal shaped monument that rises to a height of 15 m. The top three floors of the structure have a dimension of one room width while the first and second floors have patios in front of them, on the rear side of the structure. The front elevation, as seen from the street, is like a honeycomb web of a beehive built with small portholes. Each porthole has miniature windows and has carved sandstone grills, finials and domes.It was built in 1798 in the form of the crown of Krishna, the Hindu god.The original intention of the lattice was to allow royal ladies to observe everyday life in the street below without being seen, since they had to observe strict “purdah” (face cover). 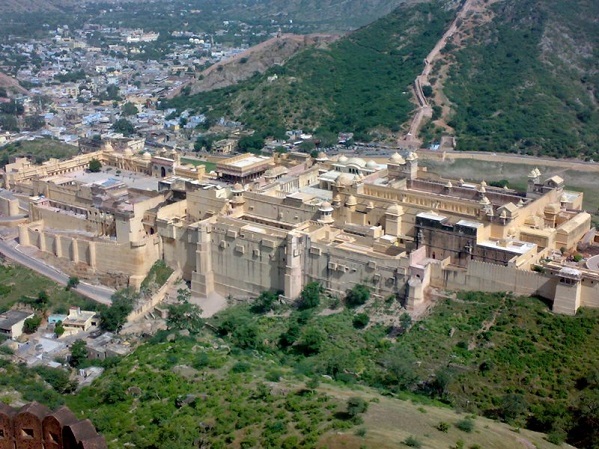 he fort palace of Amber was the Kachhawaha capital until 1727, when it was moved the 7 miles to Jaipur. 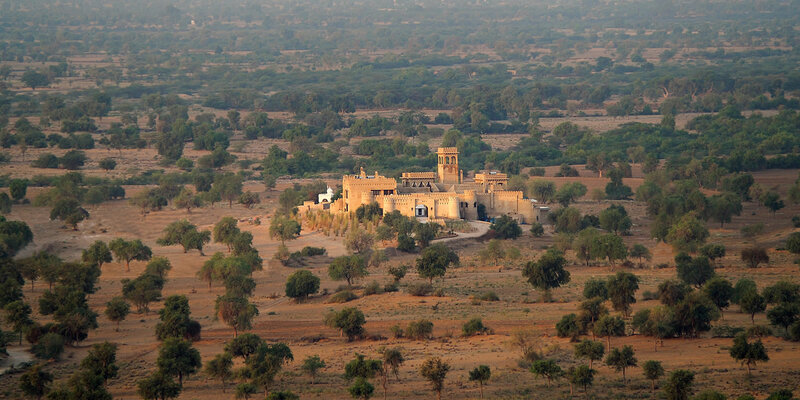 It was established in 1592 on the remains of an old 11th century fort. The fort is situated at the mouth of a rocky mountain gorge, above the Maotha Lake. 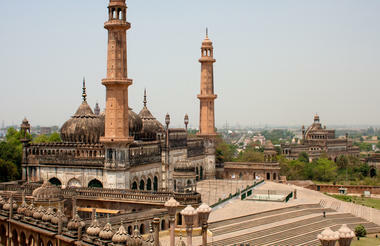 It is a remarkable example of combined Rajput-Mughal architecture. The outer appearance of the fort; rough and craggy, is totally different from its ornate interior.The fort is divided into four main sections each with its own entry gate and courtyard. 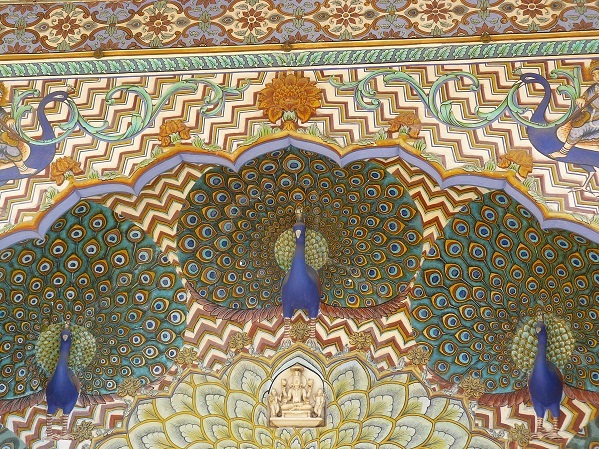 The City Palace was the home to the rules of Jaipur from the first half of the 18th century. 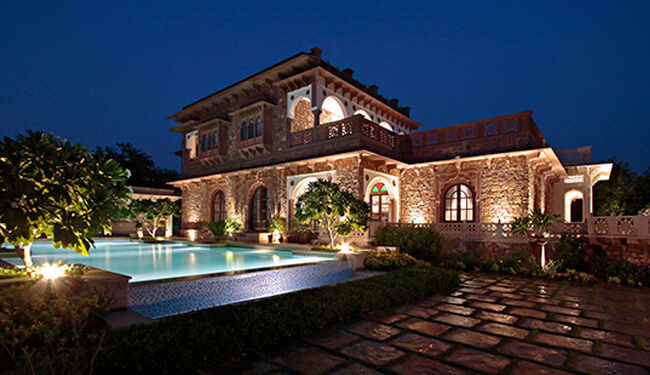 This sprawling complex is a fantastic fusion of Rajput and Mughal architecture incorporating airy Mughal-style public spaces. Today, part of the complex is open to the public as the City Palace Museum. 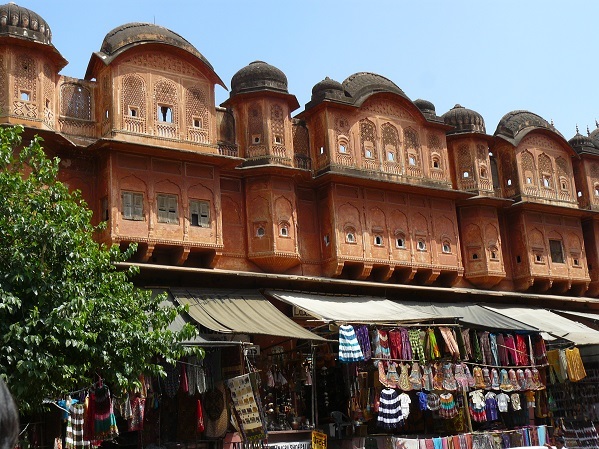 It holds an array of Jaipur’s old treasures including paintings, manuscripts, musical instruments royal costumes and weaponry.